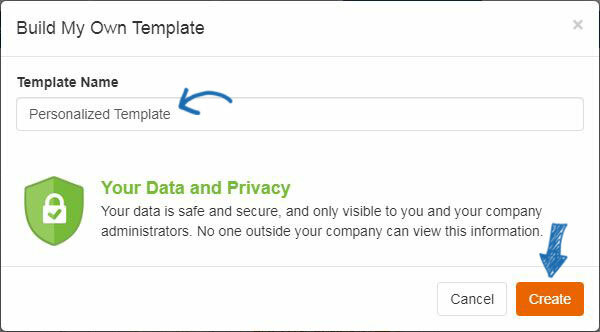 To create a completely customized template, click on the Build My Own Template button. The first step is to type a name for this template and then click on the Create button. A blank page will open in the Editor. In the column on the left, several elements are available which can be added to the template. The template will expand to accommodate all elements which are added. Drag and drop elements from the column onto the template. The left column options will change to display the element management options, enabling you to configure the element. 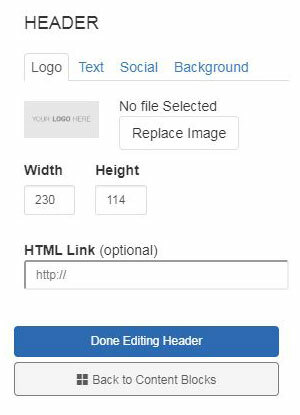 For example, to add a header, click on the element from the left and then drag and drop it onto the template. The column will change to display the editing options and will vary depending on the element. It is important to note that you must include the unsubscribe in your template to be compliant with CAN-SPAM laws. Next, use the options on the left to manage the header properties. After configuring the element, click on the Back to Content Blocks button. You can also pull products in directly from your ESP Clipboard, Projects folders, or do a search. When you drag a product(s) element onto the template, you will be prompted to specify which product you would like you use. 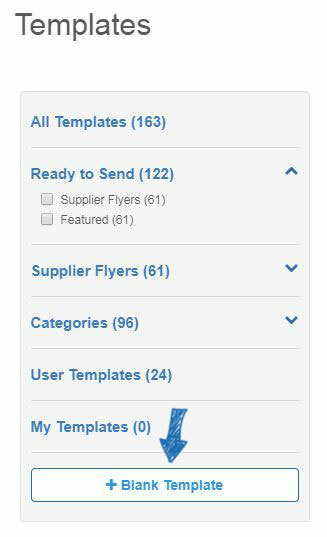 You can add up to three products at a time and will be able to manage the product information in the column on the left. When you are finished editing the template, click on the Save button. It is important to make sure after creating and saving a template, you go into the Templates section, hover on the newly created template, and click on Publish to use it for a campaign.